Learn 4 simple steps to create a budget-friendly homemade limescale remover for your toilet! We always wish our toilet to shine like new but over time things lose their shine, it’s natural. 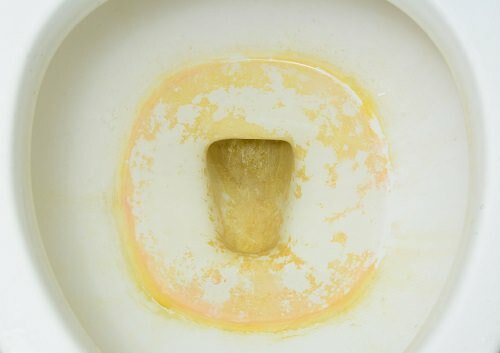 By now you would have observed a limescale ring in the corners of your toilet. The rings can become permanent if not cleaned for a long time. Of course, there are chemical products that can help you with this but why waste money on things that can be made at home. One more reason to not to use chemical products is that these chemicals are harsh and can erode the underlying materials. To remove stubborn stains, you would try rubbing it off, cleaning with a brush, using toilet cleaners but nothing would seem to work. No worries, there’s a more straightforward and smart way to do that. No secrets, it’s borax and vinegar through which you can create a homemade limescale remover! It’s a magical combination which can help you get rid of all the limescale. They are pretty cheap compared to other cleaners and are readily available too! Take 2 cups each of borax as well as vinegar. Pour them into the toilet. Wait for 15 minutes for the magic to start happening. Take a brush or rough cleaning cloth to scrub the limescale. That’s all about this hack. If you aren’t satisfied with the first try, go on doing this for 2-3 times to get the desired results. 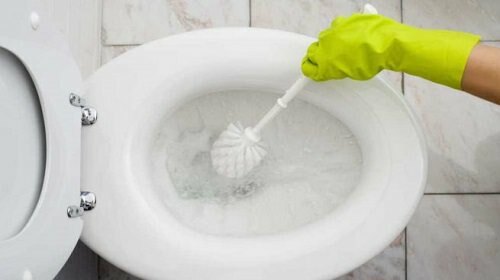 This easy DIY and natural toilet cleaning method have worked wonders for many, and we are certain that it would work for you too. It’s suitable for even people who get a supply of hard water in their area. It’s cheap, easy and works wonders for us! Note: If this trick homemade limescale remover doesn’t work for you, then you might have a buildup of limescale for a long time. To remove the limescale, you will have to buy limescale eliminating chemicals.